Thank you all from the bottom of my heart for all that you and your family and staff did for my family! With my Uncle losing his wife and 3 weeks later their only son. Then my mom. You were so caring, thoughtful and went way beyond your call of duty. Especially letting my Uncle bring his dogs in to see their mommy one more time. It meant a lot to him. You were all wonderful. Thank you so much for the care, concern, and help you gave at Jim's passing..............Thanks for being God's special earthly angels and helping us at times like this. Thank you for all the kindness you showed to our family. We appreciate the time and all the attention you extended to us. We are thankful for everything you did for us! Thank you from the bottom of my heart for the beautiful angel. Also, for all the love we received during this difficult time. Thank you for you and your staff's kindness and support from beginning to end during a very difficult time for our family. It gave us all much comfort knowing that we didn't have to ask for anything because someone on your nice staff had already taken care of it - right down to the last detail. The way you handled our father's arrangements was simply beautiful. 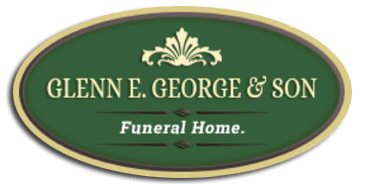 The professionalism and courtesy extended by your staff was greatly appreciated by our family; and Dad would be happy and proud in the way his services had been conducted. It's easy to say "Thank You," but harder to let you know just how much your thoughtfulness was appreciated. Hope you realize that this gratitude comes from the heart. Thank you for all your help and guidance during this difficult time in our lives. It was comforting to know our loved one was in good hands. Your kindness and understanding is deeply appreciated. The family of Sandra D.
The support group has been very helpful. It has given us the tools to move forward. We have shed some tears, laughed and eaten lots of good food. We thank you! With heartfelt appreciation for the thoughtfulness you've shown - thank you very much. I just want to thank you for all you did following the loss of my Mother. It was a comfort during my time of loss, to know she was well cared for. Also, a special thanks to Tony for the extra steps he took to finalize the process. Thank you all VERY MUCH!